> of one PC with multiple graphics cards ? There may be a lot of such a project. I could see a fun exhibision on the Exhibits floor of SC2002 recently. 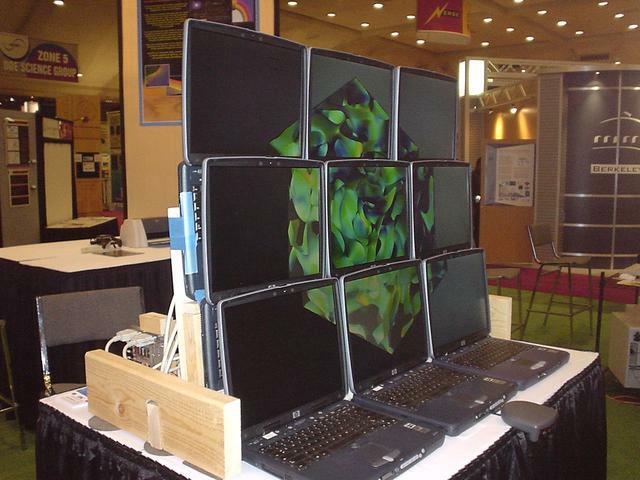 The multi-display consists of laptop PCs seem to be hand-crafted.